They are just four typewritten pages and one notorious signature. But the hastily written Nuremberg laws stripped German Jews of their citizenship, and laid the ground for the murder of millions of people within a decade. Yet when the remaining Nazi leadership went on trial after the war, that original version of the Nuremberg laws was missing from the mass of documentary evidence of the persecution and extermination of Jews presented to the international court. Forty-five years later it was revealed that the documents had been filched by General George Patton and then hidden away in the vault of a California library. Today the four pages, signed by Hitler and stripping Jews of German citizenship, barring their marriage to those defined as Aryan and ultimately defining those consigned to the extermination camps, were reunited with other papers used at the war crimes trials now kept at the US National Archives in Washington. 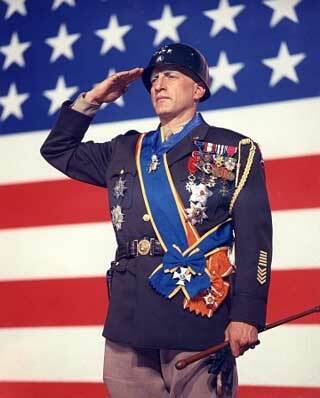 Patton was notorious for defying orders as his army charged across Europe even while he was a stickler for discipline among his troops. In the waning days of the war a detachment of the US army’s counter-intelligence corps discovered the papers in Eichstätt, Bavaria. Patton appropriated them in breach of orders against looting and the collecting of souvenirs and for Nazi documents to be handed over to war crimes investigators.